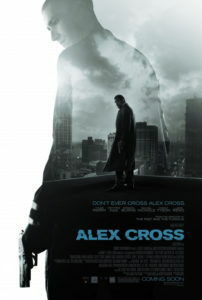 Alex Cross was drawn from the same series of James Patterson novels as 1997’s Kiss the Girls and 2001’s Along Came a Spider, both of which starred Morgan Freeman as the titular detective. Given Freeman’s status as a septuagenarian, the role of Cross was recast with surefire box-office star Tyler Perry, who headlines what is ostensibly a reboot of the previous Patterson series on film. The result, loosely based on the author’s book Cross, wants to be a hard-edged cop thriller, but instead this is an agonizingly unoriginal yarn about another wise detective hunting another ruthless sociopath, while his home life feels like something that should’ve premiered on the Hallmark Channel. It’s the kind of familiar nonsense that uses the tagline “This Time, It’s Personal” without a hint of irony, and in turn inspires unintentional laughter. The Detroit PD’s Alex Cross is considered a brilliant detective of Sherlockian aplomb. “He can tell if you had scrambled eggs for breakfast from 100 yards away,” quips his partner and best friend Tommy (Edward Burns), a smarmy Irish cop stereotype. At home, Cross is happily married to Maria (Carmen Ejogo), and they have two children, while Cross’ mother (Cecily Tyson) lives with them and bosses everyone around. But Cross’ on-the-job skills are amateurish at best, especially when confronted with a gruesome slaying carried out by a hired gun known as The Butcher (Matthew Fox), a masochist-with-a-screw-loose who’s as skilled as he is disturbed. After taking out a socialite and her armed guards with expert proficiency, the killer comes face-to-face with Cross when he botches the hit of a German businessman (Werner Daehn). Cross determines The Butcher must be trying to get revenge on someone through his crimes, “His mother, his father, maybe even himself.” Having memorized a Psychology 101 textbook long ago, Cross’ generic insights make us wonder why he’s getting letters to become an FBI profiler. The cat-and-mouse routine wears thin before it even gets rolling. An unexpected turn that destroys Cross’ happy family makes The Butcher case personal for the detective, and he mounts up for vengeance. “I’m going to deliver some justice,” he says, cocking his shotgun. Here’s where the film takes an uneven turn, as Cross’ concept of justice develops into a dishonorable revenge scenario, and the character (not to mention Perry’s performance) cannot justify what follows. All at once, Cross and Tommy break into their department’s evidence locker, knock out the cop guarding it, and proceed to bribe and beat confessions out of The Butcher’s suspected collaborators. These relatively clean, ever-bantering cops turn into bloodthirsty hounds, and the transition doesn’t take. 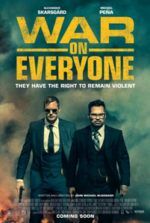 Perry never quite pulls off the required Dirty Harry airs, and by the time the finale rolls around to Cross extending his vengeance onto a corrupt CEO (Jean Reno), the plot’s absurdities and Perry’s inadequacies have become intolerable. Outside of a small supporting role in J.J. Abrams’ Star Trek, this marks Perry’s first substantial part in a project for which he was not involved as a writer or director. Filling Morgan Freeman’s shoes is a thankless prospect, of course, and Perry is clearly outside of his comfort zone for the duration. He’s rigid and forcing emotion onto the screen in the movie’s overwrought dramatic moments, while any effect his bulky frame may have in action scenes is covered up by cinematographer Ricardo Della Rosa’s wobbly camerawork, especially in the finale’s one-on-one bout. Fox, meanwhile, looks like a psychopath, having lost an incredible amount of weight in a transformation recalling Christian Bale’s work in The Machinist, Rescue Dawn, or The Fighter. Unfortunately, Fox is forced to utter absurd, movie-killer dialogue, twitching like an insect as he speaks these hilariously cornball lines about how his character enjoys pain and takes pleasure from torturing his victims. Yawn. Much of Alex Cross relies on achingly dumb telephone exchanges between cop and killer that sound as though they were written decades ago, before years of such movies dulled this material for mainstream audiences. 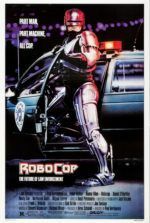 Although it’s tempting to blame Perry’s wooden screen presence on failing to create a believable character, the fault rests on the screenplay by Marc Moss and Kerry Williamson, and the ham-fisted direction of Rob Cohen, best known for inflicting The Fast and the Furious upon the world. Action scenes unfold without an ounce of energy or inkling of interest under Cohen’s helm, while the structure of the plot goes in directions that feel fatally abridged. Beyond the clichés and familiarity of the material (which in itself reach unforgivable lows), the film feels like it was chopped in the editing room and crucial, logic-determining sections were left on the cutting room floor. In the end, this ugly, mean-spirited little actioner not only feels like a botched and misguided production but a trifle offensive for wasting its audience’s time with such obvious rubbish.